Prius is a hybrid electric car that runs on gasoline and electricity. It is developed and manufactured by Toyota. It was formally a compact sedan but now is a mid-sized hatchback. The Prius is sold in more than 70 countries and regions, with the largest regions being North America and Japan, which have sold more than a million Prius cars each. Prius uses an all electric air conditioning compressor for cooling and a rechargeable nickel metal hydride (NiMH) battery for power, as well as using gasoline. Fuel economy is about 48 miles per gallon. The design of the Prius is made to reduce air resistance. Lower rolling-resistance tires are used to reduce road friction and an electric pump eliminates serpentine belts. When the Prius is turned on with the “Power” button, it uses the electric motor. Using electric power makes the drive nearly quiet until the battery is exhausted and the car reverts to “Normal” mode. Because of battery power, Prius has low carbon dioxide emissions. Concerns about quiet cars such as Prius pose a safety risk for blind pedestrians or bicyclists who are accustomed to and rely on engine noise or other aural cues from vehicles. In 2010, Toyota has released a device for third-generation Prius to alert pedestrians of its proximity. There have been concerns about the environmental impact from having a Prius, as well as battery replacement and disposal. Toyota states that the lifetime CO2 savings is 43 percent. Because of that, a number of governments, including the United States and Canada, have rebate incentives to encourage hybrid car sales. If there are problems with the battery, taking it to an authorized Toyota dealer to use the Prius hybrid battery charger before replacement is a good choice. To replace the Prius battery, it costs around $3000 to $5000. The Prius is known to have a glitch that the ECM (Electric Control Modular) that controls the battery flow is known for failing between 140,000 and 150,000 miles. Having the ECM replaced will give the driver an additional 50,000 to 80,000 miles. Someone who is a bit more daring and mechanically inclined can fix the battery themselves, but for safety reasons taking the battery to a qualified person is a good idea. For battery disposal, the batteries are to be taken to a recycling facility to be melted down. The metal inside the battery is then reused to create more batteries. 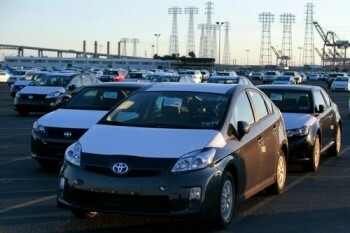 Rising oil prices caused by strife in Libya and the Middle East increased sales of the Prius in the United States. After the 2011 earthquakes in Japan that led to a production shortage, the demand for Prius was still strong. Production resumed several days later, yet problems continue due to shortages from parts suppliers. That has not stopped the popularity of the Prius, which has become a political symbol for being environmentally mindful. The demand for hybrid cars will continue as people are becoming more aware of environmental impact, the use of fossil fuels, and alternates to using fossil fuels.